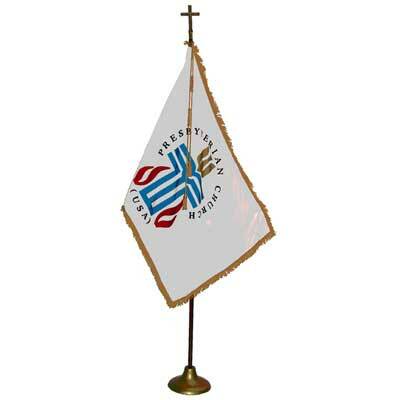 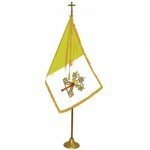 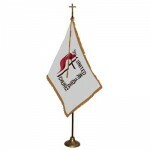 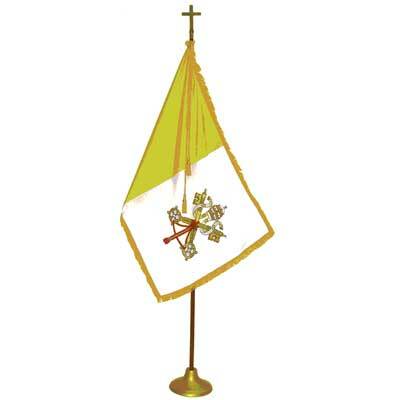 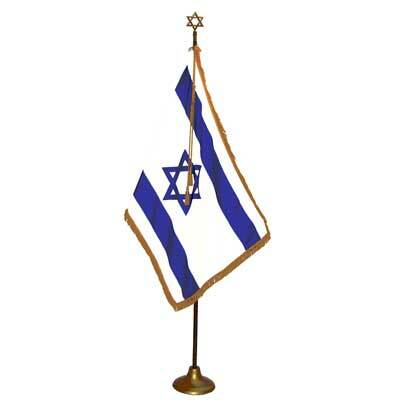 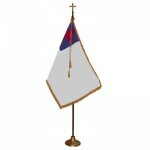 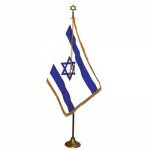 Religious Flag & Flagpole Complete Set includes a gold fringed nylon flag, a gold cord & tassel, a 2-piece flagpole with brass screw joint, a brass plated metal Passion Cross (Star of David on Zion) and a gold anodized Endura Floor Stand. 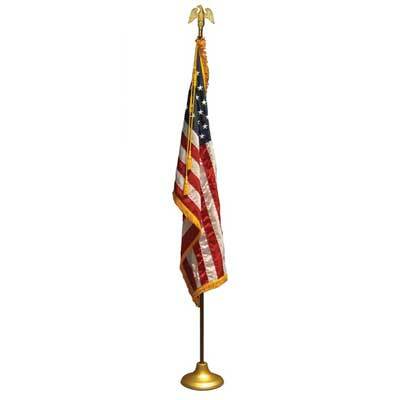 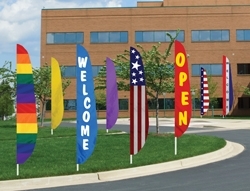 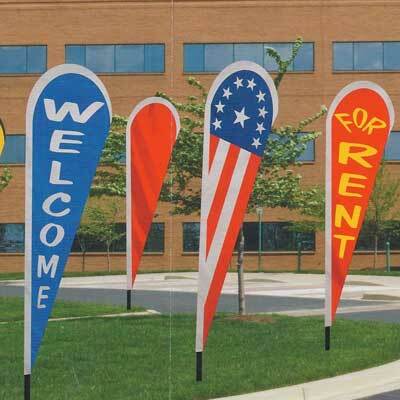 Available with Oak or Gold Aluminum Flagpole. 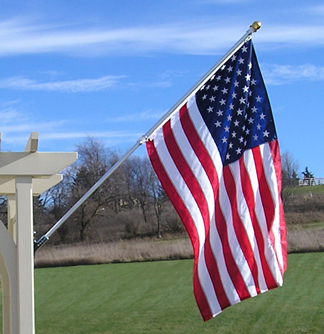 All flagpoles are 1 1/8″ Diameter.